In our back yard: Monkeypod Kitchen by Merriman opened in the Ko Olina resort on December 2012 bringing 36 craft brews on tap served at 29 degrees, kiawe wood oven pizza, and live music twice a day. They have high quality food at prices that are much more reasonable than you would find at the resort hotels. Happy Hour is from 3-5:30 every day. 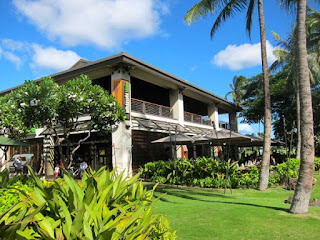 Call (808) 380-4086 for reservations, or to ask about their outdoor seating and daily live music. 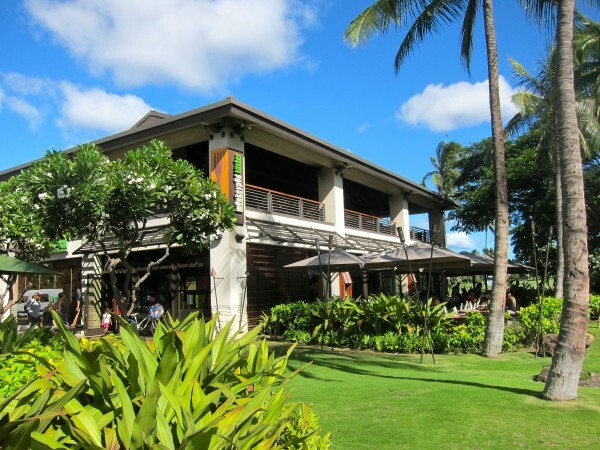 Monkeypod Kitchen is located behind the Disney Aulani Resort at the Ko Olina Station. Directions, exit our property Mauka (towards the mountain), hang a left on the main (only) road in Ko Olina. Drive past the golf course on the right, at the next four way stop, hang a right. (You will see the Disney Aulani on the left and the Ko Olina Station shopping center on the right.) If you go too far, just turn around at the guard shack and head back. Ko Olina and the city of Kapolei continue to fill in, providing our guests with exciting new eating and dining options in all price ranges. Kapolei, Oahu's second city (Honolulu being the first) is conveniently located just one exit down or about five minutes away from the villas. Groceries and Sundries: Walmart has opened at the corner of Farrington Highway and Makakilo Drive in Kapolei. This is in addition to the Target at Kapolei Commons and the Costco across the street, located at the intersection of Kapolei Parkway and Kalaeloa Boulevard. Also located in Kapolei Commons is Down to Earth, Hawaii’s all vegetarian Organic & Natural food store chain. They are on the right side of the parking lot, closest to the street. Personally, I enjoy meat and fish but they are a good stop for locally grown produce. Kapolei Village Center has recently opened a Foodland, Hawai‘i’s only locally owned supermarket. The Kapolei store includes the high-end gourmet store R. Field Wine Company. They have a very nice wine selection. Pick up some fresh fish or some USDA Prime Steaks and grill out by the beach bar overlooking lagoon two. Cocktails, great weather, the beach, grilling out, ah paradise! Casual Dining: Ruby Tuesday is now open at the Kapolei Commons. This is in addition to the Outback Steak House in Kapolei. Fast (Good) Food Kua Aina is now open in Kapolei Commons. Read about Kua Aina in my Haleiwa blog. This sandwich/burger operation is very popular with both locals and visitors. It will be opening next to Vitamin Shoppe, across the parking lot from Target. On our last visit we were disappointed in the Mahi Burger which is typically my wife's favorite item here. 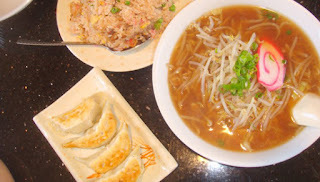 RamenYa is now open in Kapolei Commons. Big bowls of Ramen noodles, fried rice and gyoza (steamed and fried pot stickers), Yum! Aloha Salads is open and serves delicious and very good healthy and tasty meals. They service a nice assortment of salads, sandwiches and soups. Some salads come topped with grilled Ahi Tuna, Shrimp or Chicken. They source their vegetables from local farmers so their produce is fresher and better tasting. Located in front of Target, on the right side, Target's entrance is on the left side.